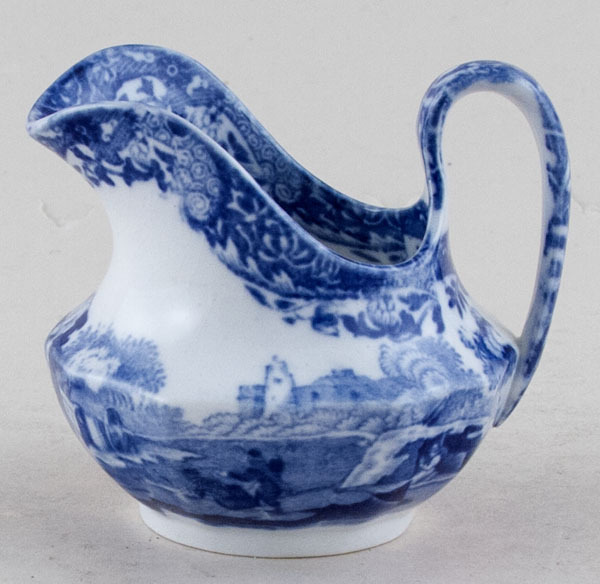 Delightful very small jug with wide spout and twelve sided body. Backstamp: Copeland Spode's Italian England. Light all over crazing with a small blemish to the foot, otherwise excellent condition.